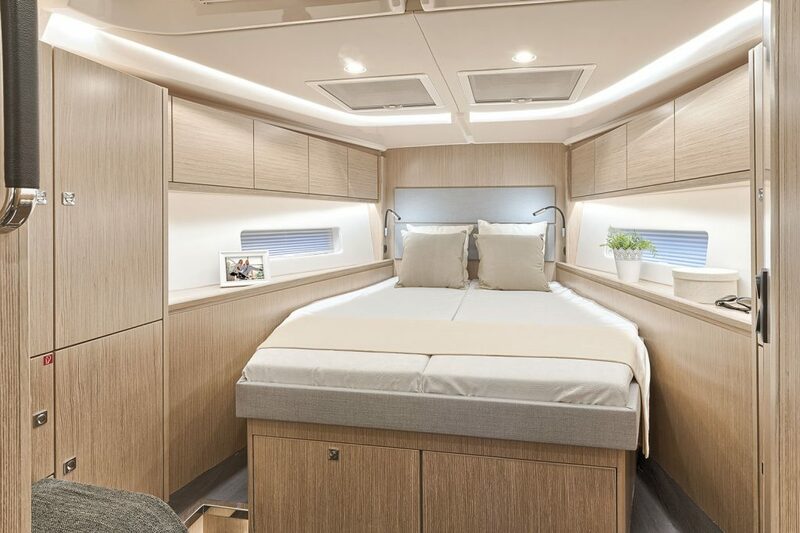 The Bavaria C45 Ambition, a crossbreed between a racing sailboat and a cruiser, for sailors who want it both ways, without compromising on either. 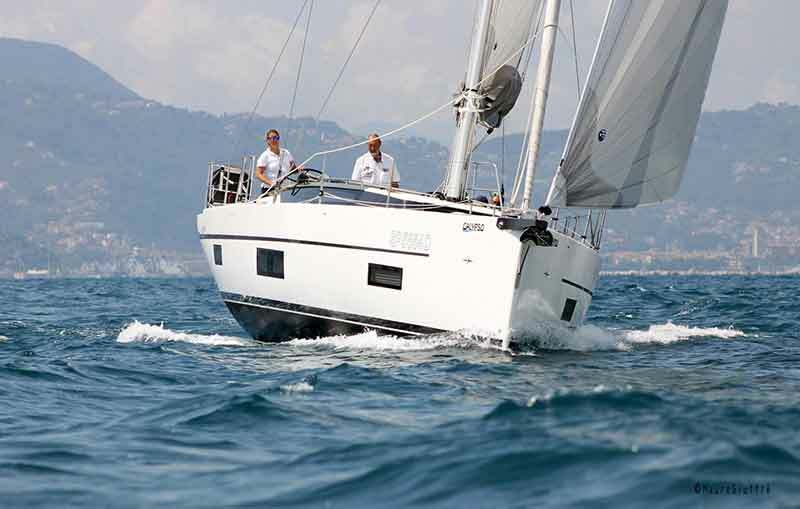 The C Line’s Ambition Package is the new enhanced dual-purpose racer-cruisers from Bavaria. 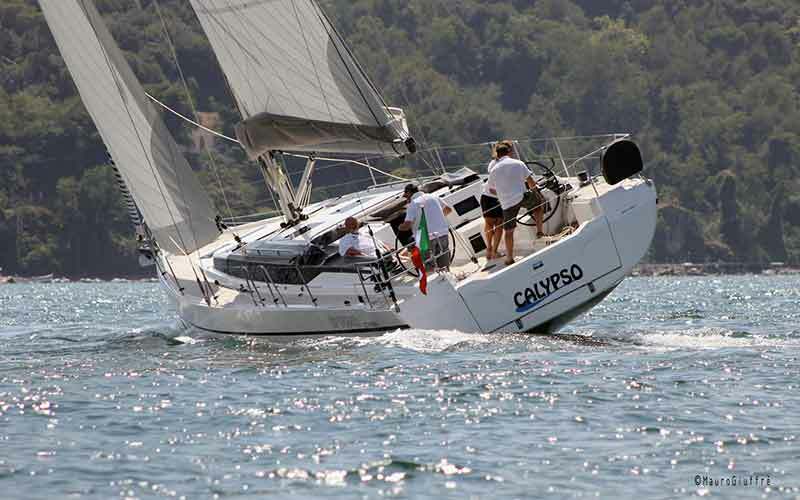 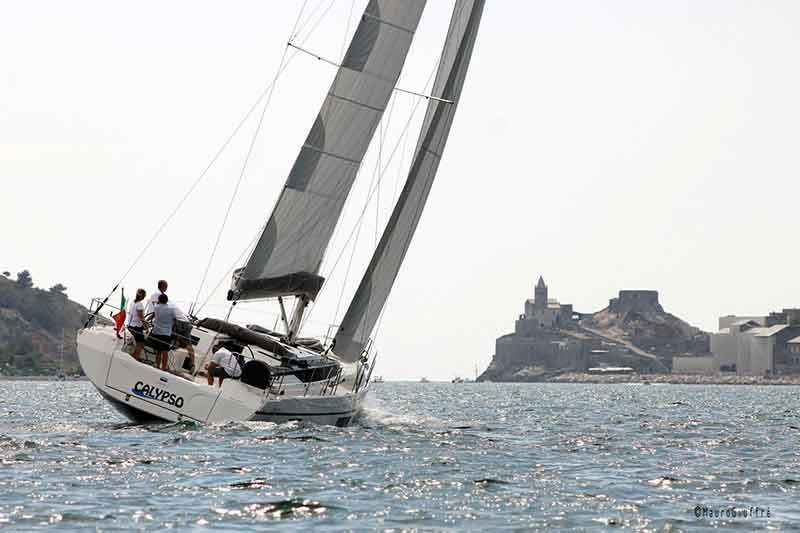 The C line was designed by Cossutti Design, one of the top European design houses, famous for their racing drawings and optimizations, especially for the ORC class. 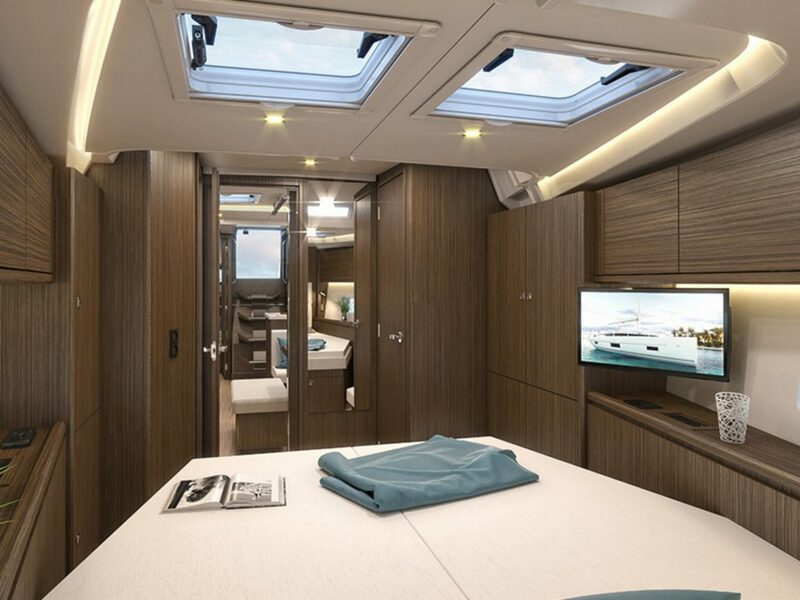 The Ambition was the natural evolution of the C line, and enhanced performance-cruiser from Bavaria that changes everything. 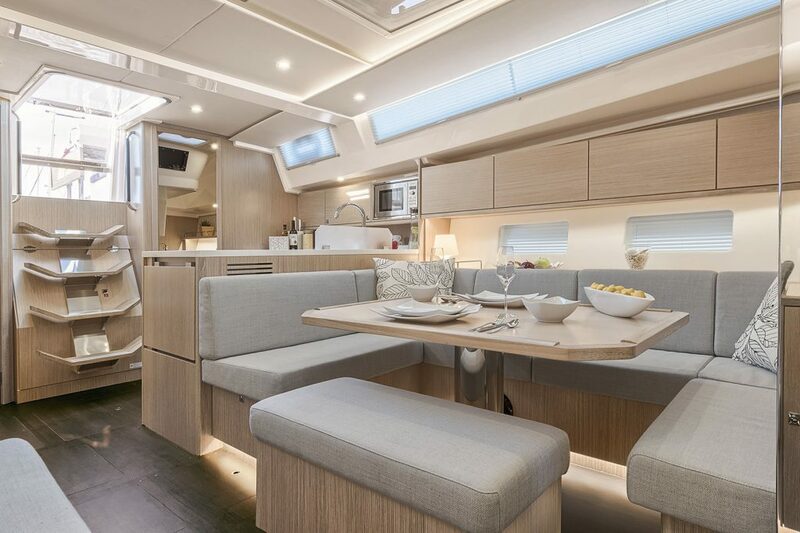 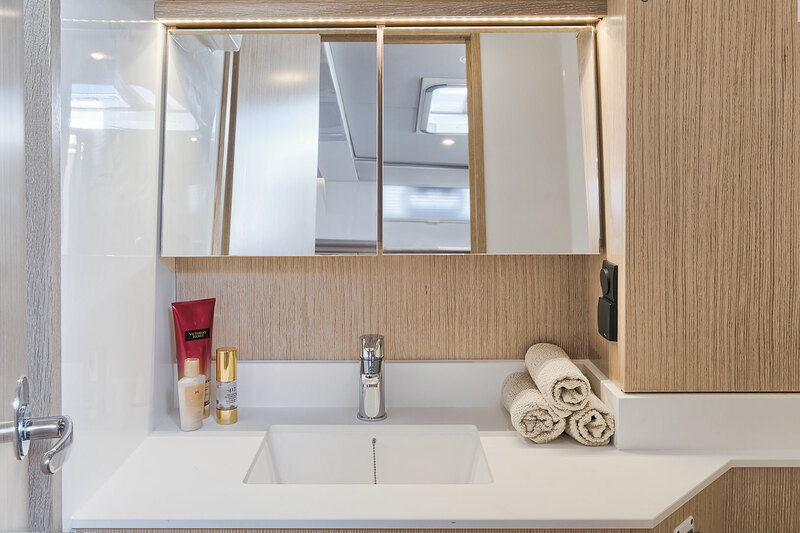 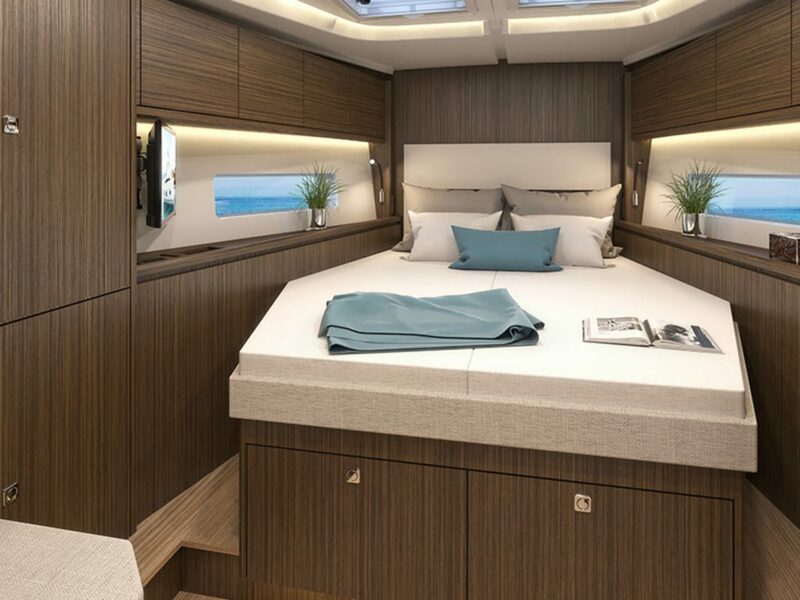 The enhancements of the Ambition includes a lighter and more open cockpit, a lighter and deeper keel, a unique ruder, a taller mast offering that offers more sail area, and modern hull lines. 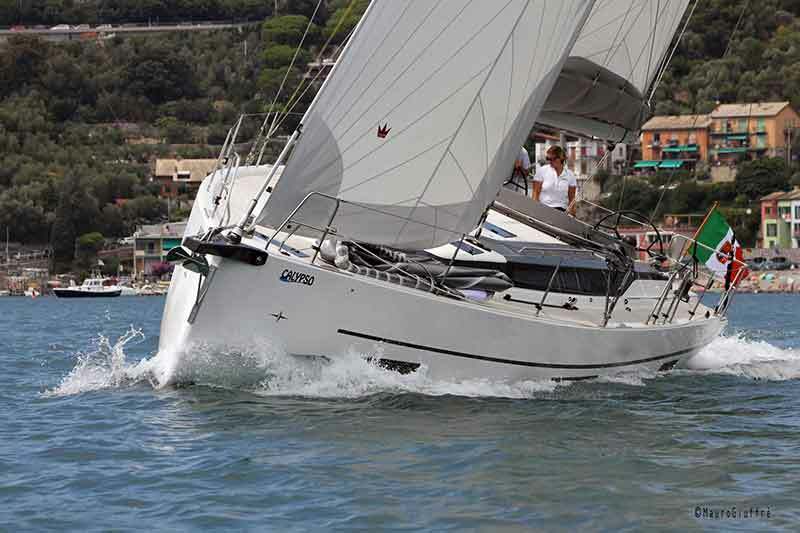 The Bavaria C45 Ambition delivers an amazing sailing performance like no other boat you have sailed before. 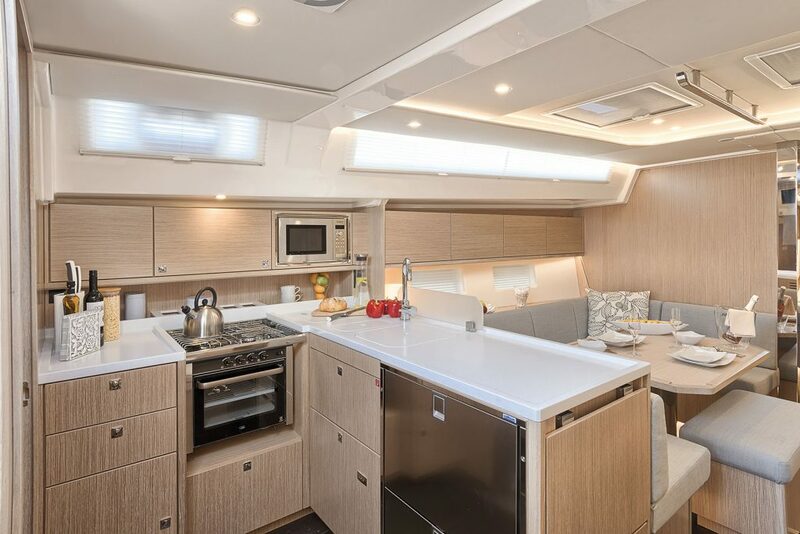 The Ambition also features an “End Boom” main sheet, that combined with an under-deck jib furler and narrow jib trimming angles, obtain amazing upwind pointing. 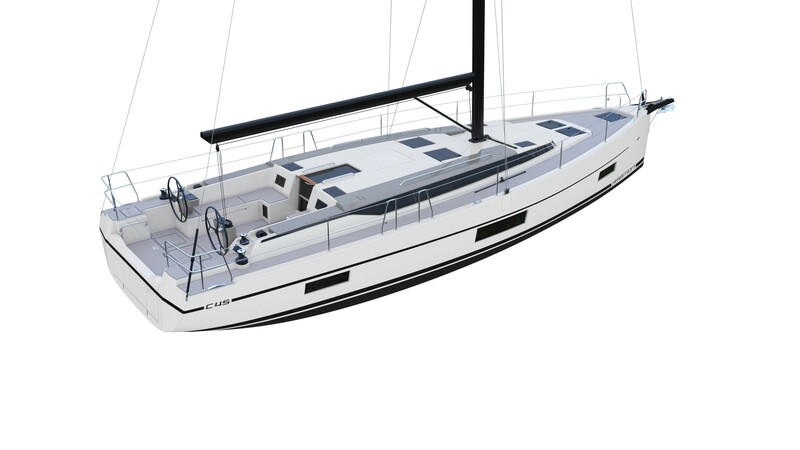 The Ambition also includes a composite bowsprit, that is Code Zero ready. 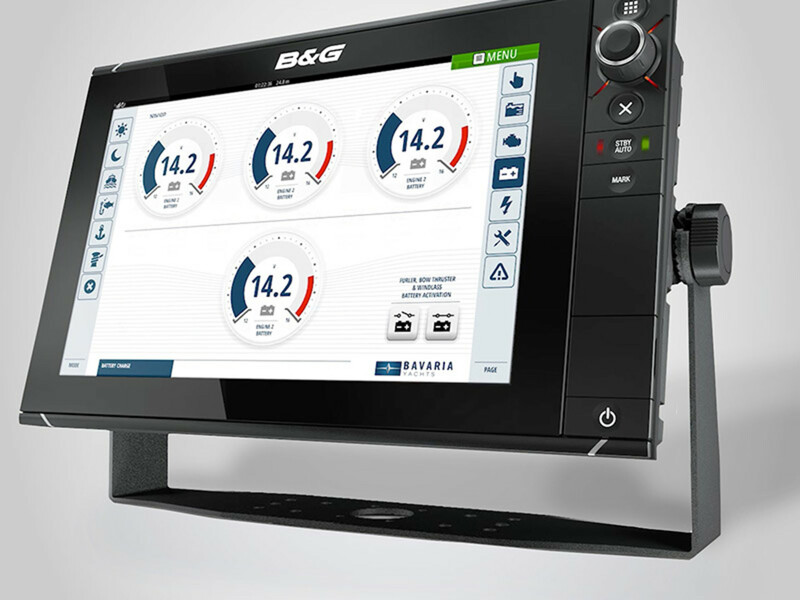 The Bavaria C45 Ambition is the first boat of its class to incorporate an advanced Vessel Management System that controls all electrified functions on the boat from a touch screen, with the ability to control the status of all systems via a phone or tablet, even from off the boat. 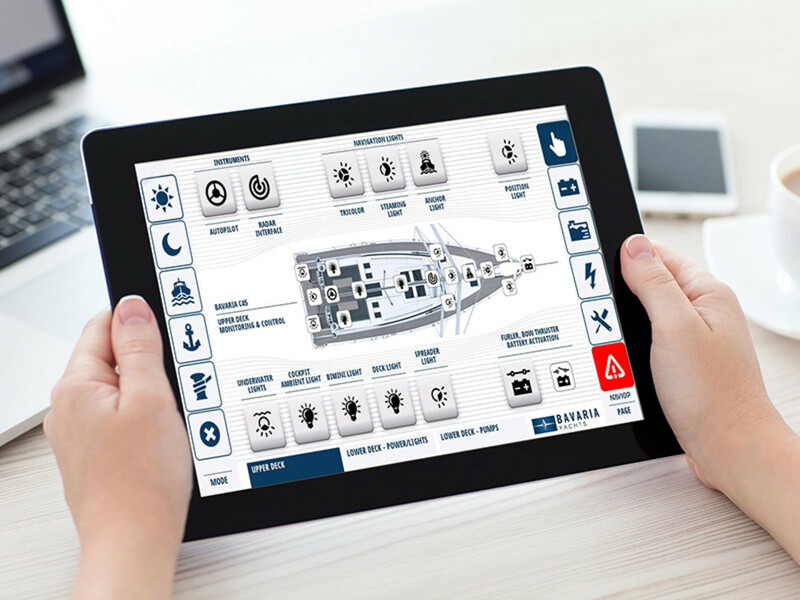 The system can be set up to alert you by text message should a preset event happen, such as when your bilge pumps are running, or when your boat is exiting a per-defined area ( Geo-Tagging ). 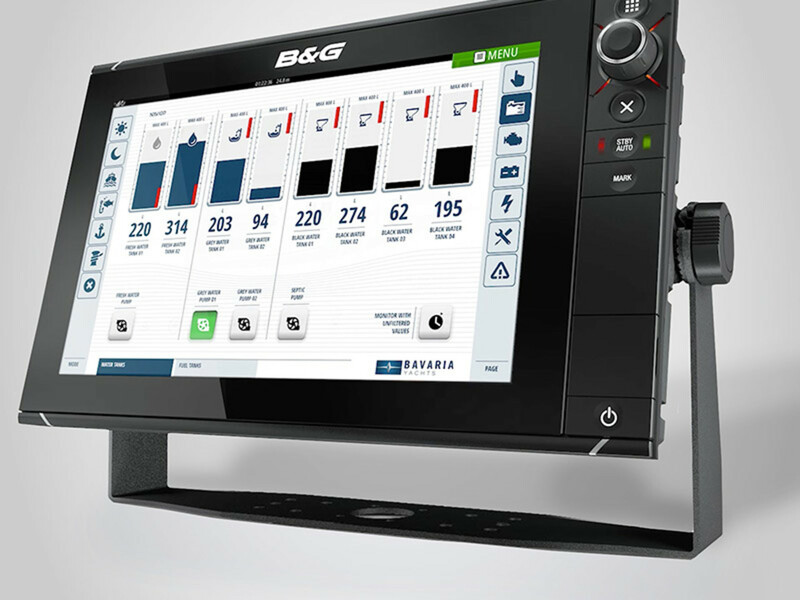 Bavaria Track System, allows the control from anywhere off all VMS functions using a smartphone, including boat location and Trip Replay. 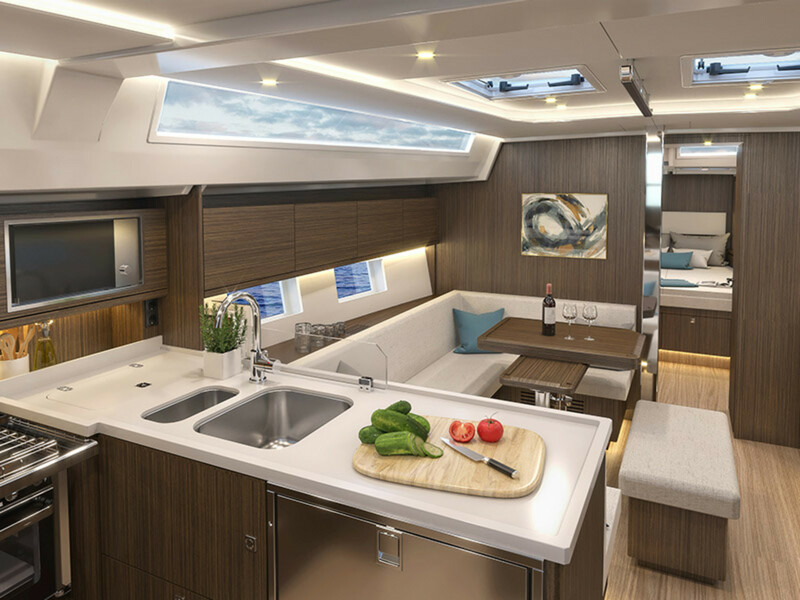 Do you need help to configure your dream boat? 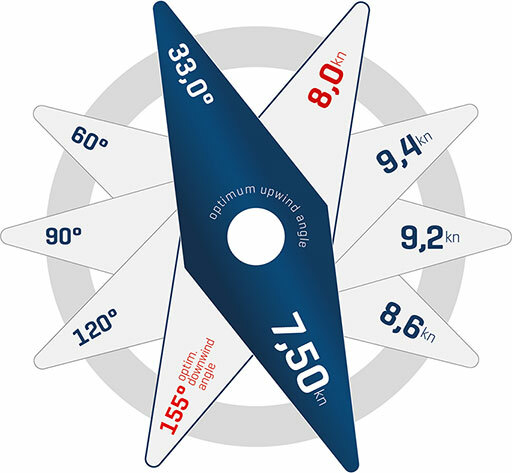 Mainsail and furling jib, sail area (approx.) 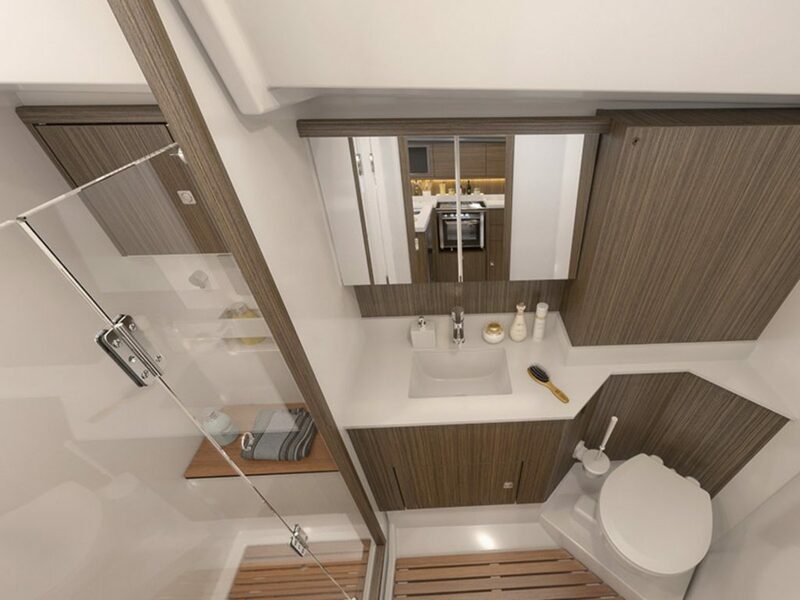 1.227 sq.ft.